WESTFIELD, MA – November 3, 2015 –Tighe & Bond, a New England leader in providing a wide range of engineering and environmental consulting services, recently finalized substantial renovations and an expansion of its corporate headquarters office in Westfield, Massachusetts. A year in the making, the improved space at 53 Southampton Road allows the firm to keep pace with staffing growth aimed at better serving its clients throughout the region. 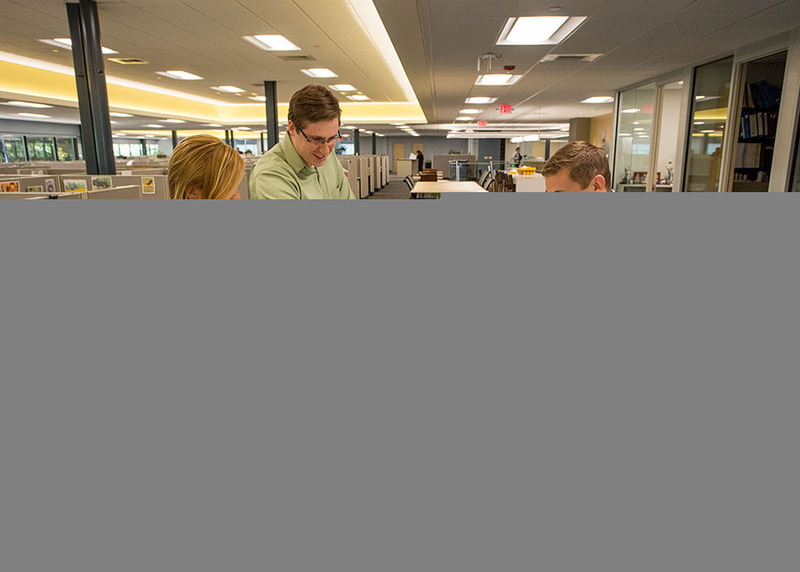 A fixture at the same headquarters location since 1989, Tighe & Bond’s new floorplan – which increased from 32,000 to 42,000 square feet – has given the firm a clear staffing advantage. Instead of accommodating 130 employees in two buildings, there is now office space for 180 in just one. Designed by Thomas Douglas Architects of Northampton, the renovated office incorporates a contemporary, open working environment to promote collaboration and enhance staff comfort. Sustainable elements of the renovated office include carpet that is LEED certified. These products are rated according to material health, material reutilization, renewable energy and carbon management, water stewardship, and social fairness standards. The firm also upgraded its office lighting with LED fixtures to replace florescent lighting, and incorporated an abundance of windows and natural light throughout the building. Other sustainable features included refurbished cubical walls and furniture, multi-light conference rooms to reduce electricity usage, and a stepped-up recycling initiative to minimize paper waste. 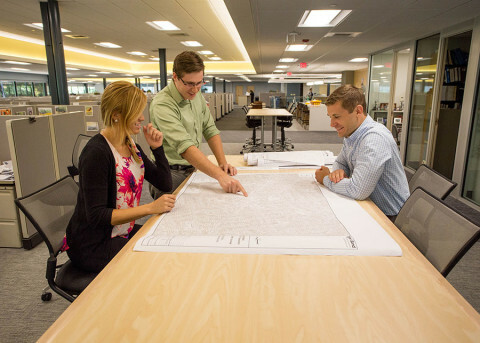 With a team of more than 260 employees, Tighe & Bond provides engineering and environmental services for clients in government, industry, healthcare, education, real estate, energy, and water/wastewater markets.